If nature were a painter, then the Maniototo plains would surely be some of her finest work. And it's here, on this dramatic landscape that some of New Zealand's best kept secrets are waiting to be discovered, from the picturesque appeal of St Bathans with its famous Blue Lake and Naseby, renowned as an ice-skating and curling centre, to the sheer magnificence of the Ida Valley, nature's palatte takes your breath away. 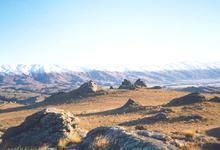 The Maniototo formed part of the Dunstan trail, the route from the coast to the hinterland used by Otago's early pioneers and gold prospectors. The railway that followed has since closed, but became the basis for New Zealand's only rail trail. The Rail Trail can be walked, cycled or horseback ridden and has the advantage of no cars or hills and is free. You can take as little or as long as you like to complete the Rail Trail and with so many great places to see along the way, it is well worth taking a leisurely tour. The Rail Trail itself provides a wonderful and unique insight into railway engineering of the early 20th Century with fantastic bridges (over 60), viaducts and tunnels to see and explore. The Rail Trail is also very flexible in that if you have little time, day trips can be made as access to the Rail Trail is easy from the main highways. 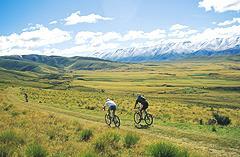 The Otago Central Rail Trail winds 151km from Clyde to Alexandra & then down through the Manuherikia & Ida Valleys until it reaches Middlemarch, situated on the Strath Taieri. The Otago Central Railway originally branched from the main trunk at Wingatui, 12 kilometres south of Dunedin, and ran through Middlemarch, Ranfurly, Omakau and Alexandra to Cromwell in the heart of Central Otago, 235km from the junction. Construction was protracted, commencing in 1879 at the Dunedin end and not completed to Cromwell until 1921. 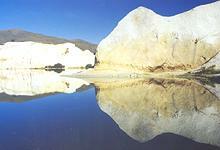 At various points travellers can break their journey to experience the blue sky, barren landscape and sense of history. Be sure to also sample the legendary hospitality that the locals are rightly famous for. Stay a few days, you will be made most welcome.